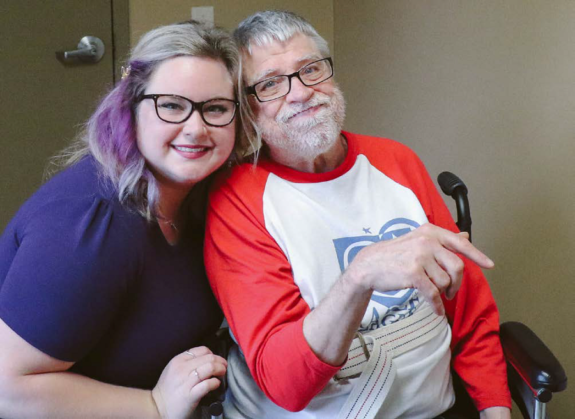 Tough times are ahead for many Minnesotans with disabilities and their service providers. Efforts to stop a seven percent cut to waiver services fell short June 28. U.S. District Court Judge Wilhelmina Wright issued a 13-page ruling that allows the cuts to go forward, starting July 1 and continuing to December 31, 2019. Wright ruled against a group of four people representing a larger group of plaintiffs as well as the service provider coalitions Minnesota Organization for Habilitation and Rehabilitation (MOHR) and ARRM. A hearing on an emergency injunction to stop the cut took place June 27 in federal court in St. Paul, with disability community and state government representatives presenting arguments.Wright’s ruling stated that the disability groups failed to demonstrate that the cuts would create irreparable or imminent harm. She said it is speculative to say that actions may occur if the cuts are implemented. But funding cuts eventually will impact more than 32,000 Minnesotans who receive services through the Disability Waiver Rate System or DWRS. They will also affect as many as 100,000 direct service providers. Having the emergency injunction and funding denied at the height of a direct care staffing hiring crisis dismays many service providers. All over the state, personal care agencies, group homes and other service providers are already struggling to hire staff. Cuts could mean cuts to services provided. Minnesota has already lost several service providers due to the funding and staffing situation. “This was a complicated case, and ultimately we respect the ruling of the court,” said Julie Johnson, president-elect of MOHR. Legislators supported a fix but by combining that fix with other unrelated items, it got caught up in a political battle. “Addressing this issue should have been a top priority for legislative leaders and the governor from the day it was announced,” said Sue Schettle, CEO of ARRM. “The great tragedy here is that Minnesotans with disabilities and the hardworking staff who support them have been allowed to become collateral damage of partisan battles at the state capitol,” Johnson said. After the court ruling, DHS Commissioner Emily Johnson Piper issued a statement indicating that the state would start adjusting some disability service rates as of July 1. Scheduled rate increases will be reversed. The first round of cuts hit people who receive what are called unbanded services. Other cuts will be rolled out over time, affecting a wide range of services that help Minnesota’s with disabilities live and participate in their home communities through assistance with personal care, independent living and employment supports, transportation and much more. The proposed rate increases and the cut have a complicated history. The DWRS includes a complex formula that is used to determine services provides to people with disabilities, through the Medicaid waiver program. The seven percent refers to a one percent increase passed in 2013, a five percent increase passed in 2014 and a one percent quality add-on rate increase passed in 2015, totaling seven percent. The rate increase is considered an “after model adjustment” meaning it is added to an individual’s disability service rate after their framework rate has been established. Numerous disability groups and individuals fought hard for the rate increase during recent legislative sessions, as wages for service providers have not kept up with growing demand for service and a competitive employment environment. But in February the federal Centers for Medicare and Medicaid (CMS) announced that the rate structure had to be changed. A high-profile lobbying effort was mounted to stop the cuts, led by the groups involved in the emergency injunction and the Best Life Alliance. Money to rectify the situation was in a 990-page supplemental budget bill. But Gov. Mark Dayton objected to other provisions in the bill and vetoed it. With no legislative special session, ARRM, MOHR and other advocates had no choice but to file for an emergency injunction. Technical and complex arguments were presented before the court June 27, with much focus on banded and unbanded services. The DHS website provides detailed explanations about banding, as well as a glossary. Banding limits changes in service payment rates that are caused by DWRS implementation, to ensure ongoing service access for people who receive services. It is meant to limit impacts to service providers and county and state budgets, and to allow time for additional comprehensive research and analysis to ensure service rates are based on provider costs. But people can be moved from banded to unbanded services, it was argued. The lack of a comprehensive state process to challenge the cuts, rather than individual appeals, was also a concern. Wright responded by saying that state lawmakers could act to make changes in the next 18 months. She also said DHS could change its policies. “I’m just saying it’s not certain,” she said. One argument the state made is that a reduction in rate doesn’t change the services authorized, and that the case isn’t about reduction of services to a particular recipient. Instead, the argument was made that providers can continue to provide services or opt to provide fewer services. The change is what DHS will pay for services. That argument frustrated some services providers at the hearing. It also prompted a question from Wright, who said she was “perplexed” by the idea that funding doesn’t affect services. A recent ARRM survey showed that providers as a whole have a 40 percent turnover rate for first-year staff. Direct care workers in Minnesota on average make $12.50 per hour. Many people opt for jobs paying more and agencies and clients are left begging for help. The job vacancy rate is around 10 percent. To learn more about banding and DWRS, go here.